Architect, designer, and architectural critic, George Nelson (1908-1986) was a young and impressionable architect when he wrote a series of articles in 1935 and 1936 that eloquently introduced astonishing buildings and fascinating personalities from across the Atlantic to wider American audiences. Building a New Europe presents this important collection of writings together for the first time. The subjects of Nelson's essays include figures both major (Mies van Der Rohe and Le Corbusier) and minor (Helweg-Moeller and Ivar Tengbom). All of these architects would soon be affected by World War II-they would be put out of work or seek new careers abroad. 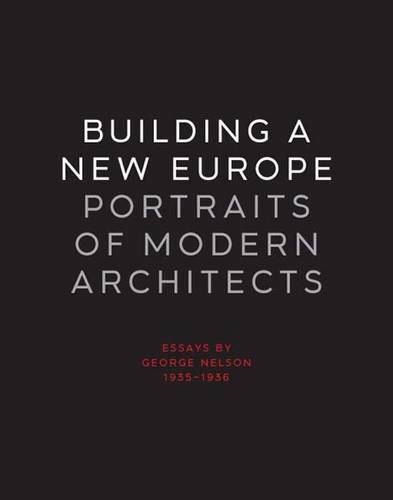 Nelson's essays spark fascinating questions about the canon of modernism: how would circumstances in the pre-war years cause some architects to rise and others to fall? Accompanied by a comprehensive introduction and a wide selection of archival photographs, many never before published, this unique study is a significant contribution to the history of modern architecture.